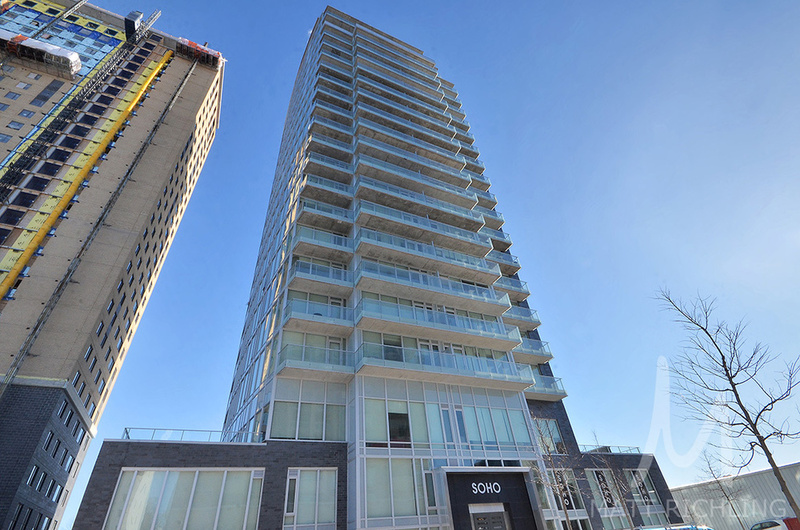 SoHo Champagne is the latest hotel inspired condominium with a perfect blend of luxury and design. 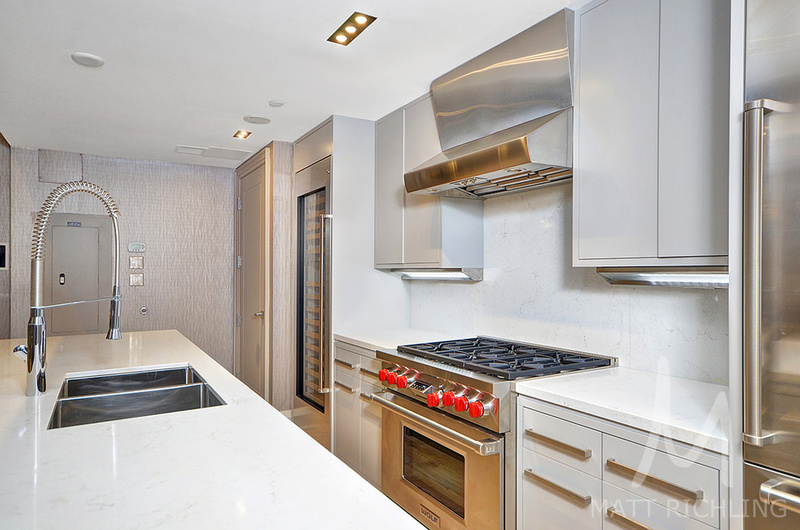 Designed by Brian Gluckstein, this spectacular condo is built to luxurious hotel standards with timeless architecture and resort style amenities. Step inside and feel at home. This two bedroom unit has numerous upgrades and features that you both expect and deserve. 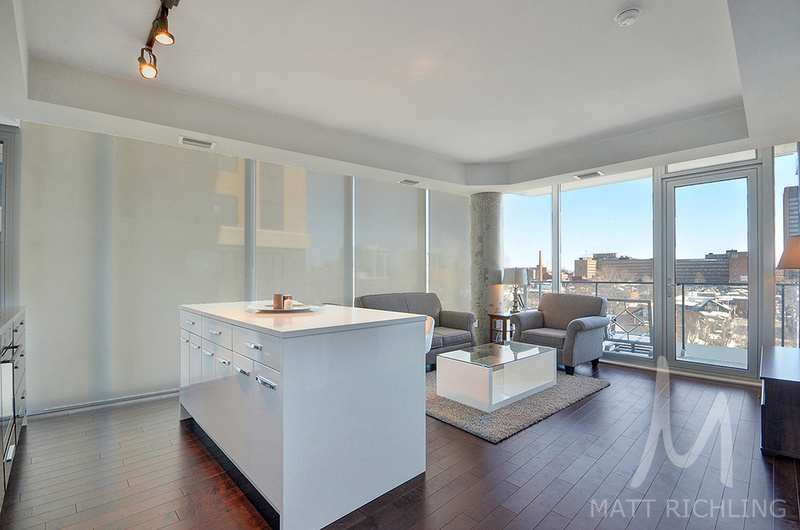 The floor to ceiling windows on both sides of the unit provide a beautiful backdrop of the city skyline. Both East and North facing, you have lots of natural light along with a stunning view of the sunrise each day. The kitchen is appointed with european appliances - Concealed Liebherr fridge, AEG wall oven, AEG cooktop, and concealed AEG dishwasher. Quartz countertops, glass tile backsplash, under cabinet valance lighting, and island with both storage and seating. The rich hardwood leads you from the front entrance and throughout the main living area. The bathroom features Marble countertops with marble tiled shower and floor, mixed with rain shower head, and upgraded shower complete with chrome accents. The master suite features large floor to ceiling windows along with upgraded draperies - perfect for those days you want to stay in bed. Or you can start the day and choose to watch the sun rise from the private second balcony which is only accessible from the master suite. The en-suite bathroom features marble countertops and large soaker tub and shower combination. The walk-in closet has just the right amount wardrobe space. The buildings hotel style lobby provides the first impression. Welcomed by the hotel trained concierge, Step through the monolithic black granite entrance with 10 foot doors and notice the imported marble wrapping the two storey lobby. 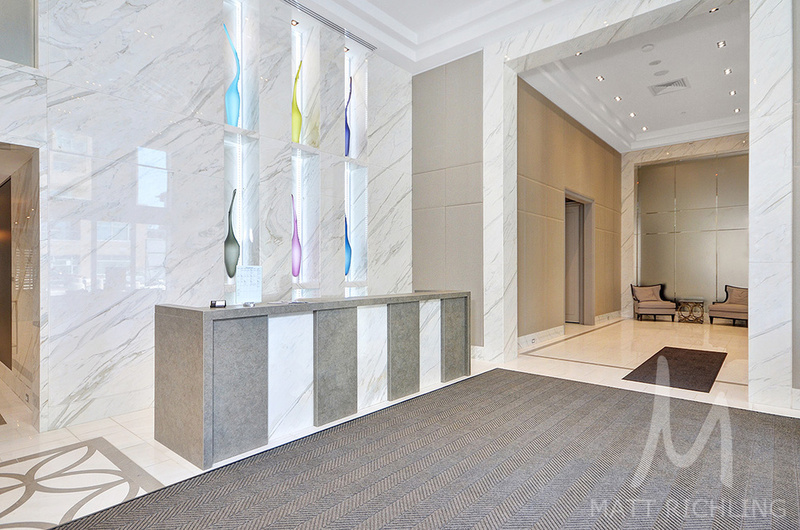 Pass the hotel trained concierge and notice the luxury Canadian art that is located throughout the building. Spectacular glass sculptures by Canadian artist Jeff Goodman are located in the lobby, along with photography pieces selected by North America’s premier photography consultants, Elevator Digital, throughout the Champagne Club and Wine Room. Offered at $450,000 with a monthly condominium fee of $413. One underground heated parking spot, and one storage locker are included. Flexible closing date is available. 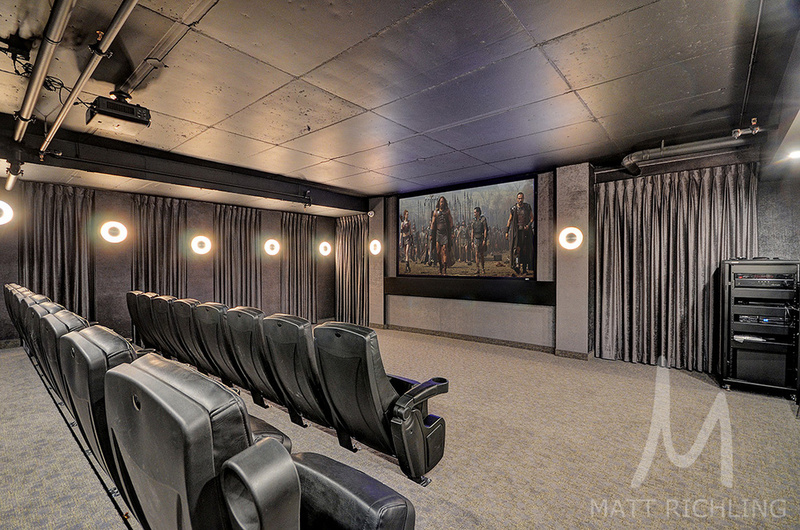 For more information or to schedule a private viewing, please contact Matt Richling (sales representative with RE/MAX Metro City Realty Ltd.) by filling out the form below, or Matt@MattRichling.com.